Well, I've been asking around about who might have known that in 1952 the US government had a method to accurately predict UFO appearances, and I haven't gotten very far. I have gotten some interesting feedback, but nothing that helps solve the mystery. 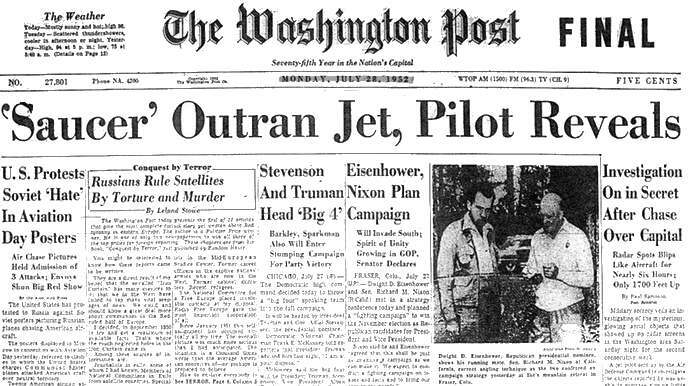 To recap, I recently discovered a passage in the 1956 book "The Report on Unidentified Flying Objects," by former head of Project Blue Book Captain Edward Ruppelt, stating that a secret government agency had in 1952 detected a pattern in UFO appearances and predicted that the Grand-daddy of all UFO sightings was about to occur in Washington, D.C. Two days later, Ruppelt wrote, the Washington, D.C. flap began. Do you have any idea how amazing it would be to be able to predict when and where a UFO was going to appear? We would have the whole flipping mystery solved in about five seconds, wouldn't we? All we'd have to do is wait with a big net at the place where the UFO was due to appear and then just grab the sucker! I'd be out of a job, but we'd finally know what's going on! It's crazy. This bombshell information was published in 1956. It's just been sitting there all this time, raising so many important questions, and nobody thinks it's worth following up on?? "You’ve hit on an interesting episode in that eventful year of 1952. I’m not a UFO historian, and not fully up on the details of events in that era, as are the "UFOs and Government" gang, but I can tell you that, certainly, if it was possible to detect a pattern in UFO events, that knowledge would have been used by those in charge. 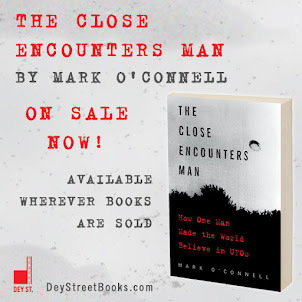 But it wasn’t possible, so this prediction was probably a good hunch based on the incredible events of early 1952 with the rising crescendo of sightings that seemed to be trying to get everyone’s attention." 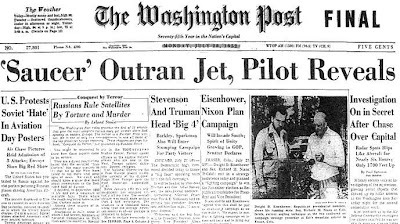 Did the government predict the Washington, D.C. UFO flap? Yes it did. I was massively disappointed that Mxxx thought the predictive analysis Ruppelt talked about "wasn't possible," but he went on to suggest that I bring the question up with the Council of UFO Elders, aka "The UFOs and Government" gang, and I thought that was a pretty smart idea. I could wait until next month and ask them directly, but I'm an impatient man, so I decided to consult their book. "Even without knowing anything more about this mysterious prediction, it is, to say the least, interesting because it came true. It also is of some direct interest to the subject of this book, as it indicates that people other than the Air Force had monitored UFO activity and had attempted to pattern and predict it." I am completely baffled by this. According to Ruppelt, people hadn't simply "attempted" to pattern and predict UFO activity; they had actually succeeded! Why would the "UFOs and Government" gang not acknowledge this? I mean, they go to the trouble of citing the passage in Ruppelt's book, and they accept the first part of the story, but then they don't even comment on the second part of the story--which also happens to be the really amazing bombshell part of the story. Labels: 1952 flap, Air Force, alien, Captain Edward J. Ruppelt, CUFOS, flying saucer, Project Blue Book, radar, The Report on Unidentified Flying Objects, UFOs and Government, Washington D.C. 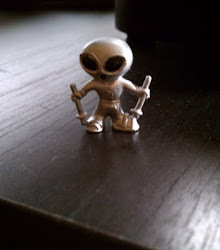 It's one thing for the government to state they can track and predict where UFO activity will occur. It is quite another to tell how they came up with this plan and what the results were. Since this happened in the early 1950s it seems that the secret was maintained. Several people have alleged to have figured out the pattern by which UFO activity could be predicted (remember Keel's Wednesday Night idea?) All have fallen flat when the phenomenon zigged when we expected it to zag. What the Air Force was trying to do would, today, be called data mining - and they were trying to do it with a UNIVAC and a bunch of guys with slide rules. Before we read too much into this, it is far more likely they just backed away from their theories when they didn't hold up. Hi, Mark OC, and thanks for the posts. Interesting find! "The first incident took place early one morning in July. It was reported extensively in the newspapers that a number of unknown objects appeared on radar screens around Washington. Now, it looks very plausible to me that the Washington incident was a demonstration of a technology from the Defense Department, known as Project Palladium, which allowed the operator to project radar blips onto other radar screens. Later on, the technology became very sophisticated to the point where you could change the shape of the blip and its speed and so forth. We go on in the book at length about the evidence that suggests that the Washington radar incident was a planned operation." Curious circumstances, indeed. Thanks again for the posts. Jack, this is fascinating info! I'm still catching up on things post-vacation, but I will definitely follow up on this. I think it may connect to another UFO puzzle that I've come across in my research... Wouldn't it be wild if the government was sending UFOs up into the sky all this time? And maybe it wasn't a prediction at all. Maybe Ruppelt was briefed on a possible Cold War Soviet intruder security test over the US Capitol. Considering the political climate of the time, that's a pretty feasible theory.